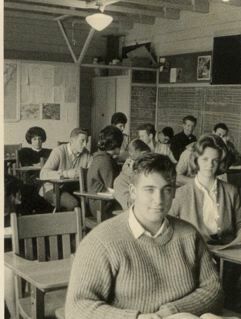 Norman Rosenblatt is the second young man on the left, leaning over, talking to a female student in the back of a classroom at Lincoln High School in San Francisco’s lovely Sunset District). In the mid-1960s Norman Rosenblatt was elected as the student body president of Herbert Hoover Jr Hi. His family lived a couple of blocks from my house. “Living in Cabo San Lucas, Mexico for the last 10 years.